Ideal temperature for comfort is 73 degrees at foot level and 67 degrees at head level. Radiant floor heating systems provide superior heat distribution compared to all other systems (see chart below), especially in rooms with high or vaulted ceilings. The hydronic floor system will use aluminum plates to conduct the heat from the hot water to the floor. Many home use gypcrete (concrete) with the tubing embedded in it. 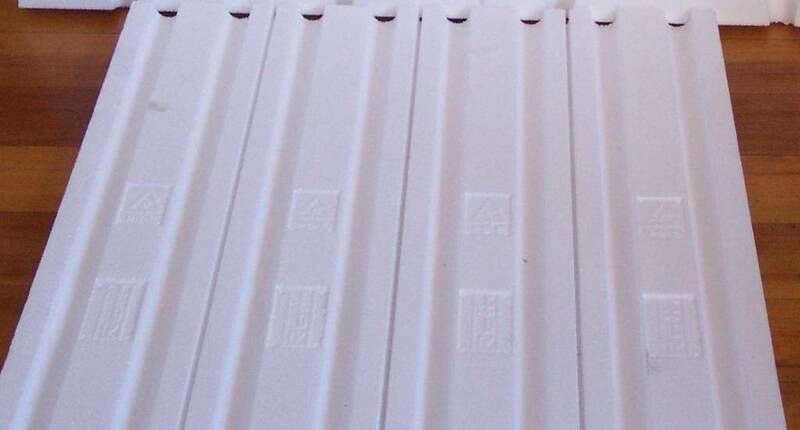 We use aluminum spreader plates instead to greatly reduce thermal mass and heat loss through the subfloor.